People keep giving me gentle reminders that I haven’t posted photos in… well… forever. Not to mention, I haven’t written a single thing about all the fun I’ve had recently so here it goes. Get comfy. April 2010 – Yes, I’m THAT far behind. 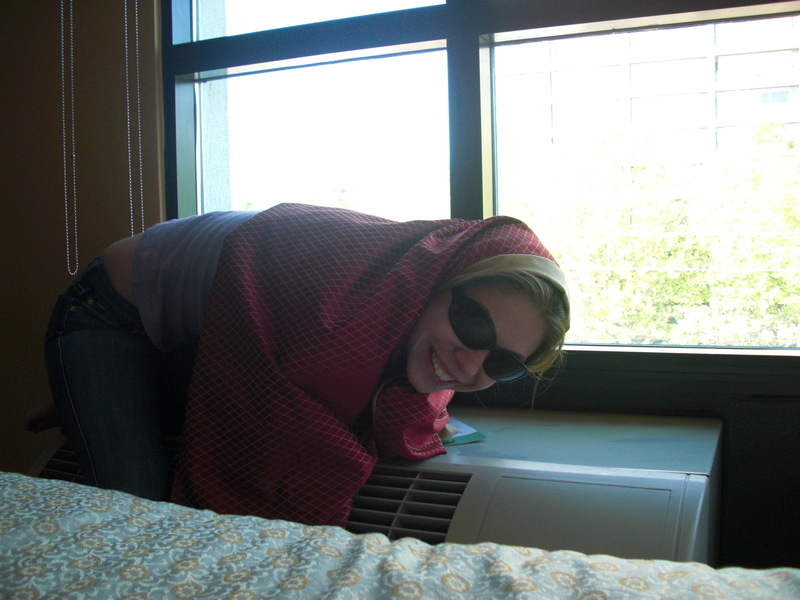 Ali decided to conquer the air conditioner’s tendency to make our room frigid arctic cold and in doing so, centered on that Gone With The Wind dress-out-of-draperies thing. Didn’t work that well for her. We scored a free ride in a limo, but by the time we actually got out the door of the hotel everything was closed, so the driver recommended a little diner… it was around the corner. 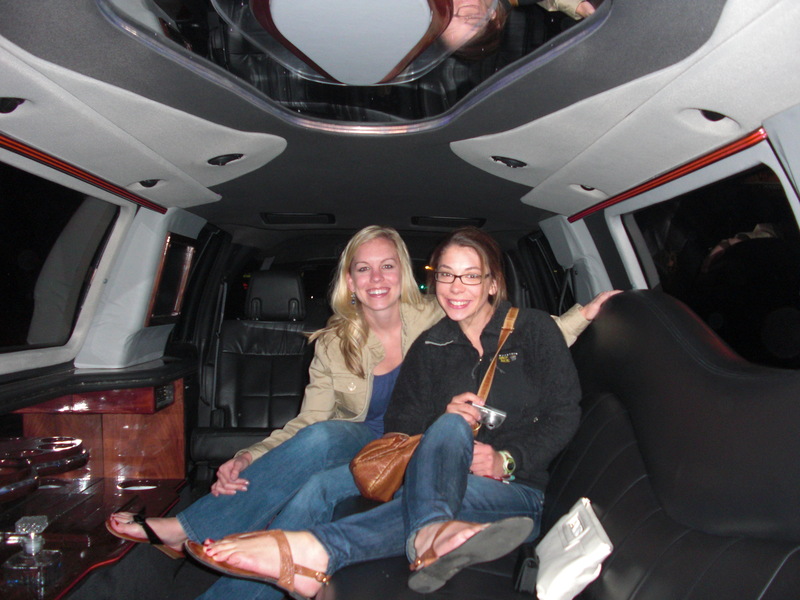 We were only in the limo for maybe 25 seconds. But hey, it was long enough to take a photo. 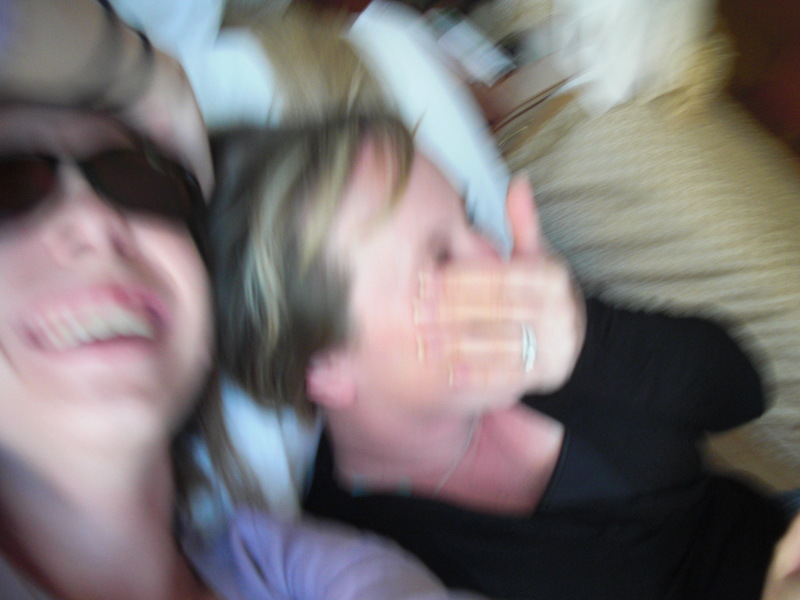 So that was the Girls Trip, 2010. More catching up soon.